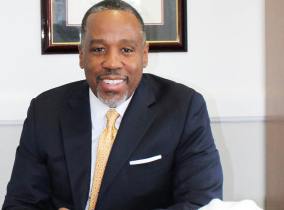 Greg Janey started his construction company in 1990 out of a Dorchester storefront, and completed one of his first notable projects building a 20,000-square-foot office for the Urban League of Eastern Massachusetts in Dudley Square. “Before that, it was just the standard build a deck, renovate a kitchen, do what you need to do to get going,” said Janey, founder and CEO of Boston-based Janey Construction Management and Consulting. 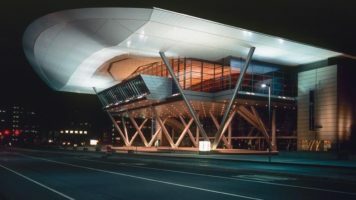 Now Janey’s firm will play a major role at the largest building project set to break ground in Boston this spring: a $550 million Omni hotel that’s positioned as the go-to lodging destination for visitors to the Boston Convention and Exhibition Center. Janey is teaming up with one of the region’s largest construction managers, Winchester-based John Moriarty & Assoc., in a 70-30 partnership that could rewrite the rules of how minority-owned firms compete on big-ticket development projects. Janey described the Moriarty partnership as a “true collaborative effort” in which Janey employees will participate on all levels. Both companies will hire their own superintendents and project engineers, but Moriarty said the overall project manager will be part of his firm. When Massport requested proposals from hotel developers for its 2.1-acre site at 440 Summer St., the port authority’s directors made diversity and inclusion count for 25 percent of the evaluation criteria. “This all came about because somebody said, ‘Let’s not just set a minimum standard. Let’s see how hard and high people are willing to go with this,’” Moriarty said. The Davis Cos. of Boston assembled the eventual winning team. 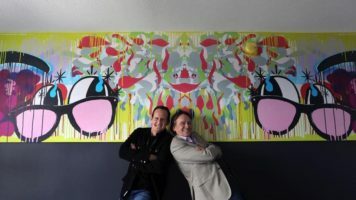 Developer Richard Taylor and Howard Elkus, the late co-founder of Elkus Manfredi Architects, approached developer Jonathan Davis in 2014 with ideas for a team that included minority participation in all stages from design and engineering to hotel operations. Elkus Manfredi had partnered with Moody Nolan, the nation’s largest African-American-owned architect firm, on projects outside New England. Joining the Omni development team prompted Moody Nolan to open its first New England office at Boston’s International Place. Davis Cos. CEO Jonathan Davis, a developer with 42 years of experience, saw an opportunity to bring more diversity to Boston’s development industry and create a long-lasting model for inclusive projects. Whether or not additional agencies and municipalities set similarly high diversity goals, Janey predicted his firm will be positioned to compete for larger jobs in the future. Minority-owned firms comprise 31 percent of the design phase. Lead architect Elkus Manfredi is partnering with Roxbury-based Stull & Lee, which is designing public realm improvements including interiors of an existing tunnel beneath Summer Street connecting the hotel with the convention center. Columbus, Ohio-based Moody Nolan designed the Omni’s meeting rooms and event spaces, including the city’s largest hotel ballroom. Massport did not respond to a Jan. 15 request from Banker & Tradesman for a copy of the hotel development agreement. The publication reopened an appeal with the Secretary of State’s public records division after Massport failed to provide a response on March 6, as the division had indicated to the agency. Massport spokeswoman Jennifer Mehigan did not respond to inquiries about when the document would be provided.